Don't take to the open highway without a breathtaking bird's-eye view. With this wireless backup camera for your RV, you can enjoy America—or any land you choose to explore—in style, with a ride that's as safe as it is satisfying. At TadiBrothers, we strive to deliver the best birds eye view backup camera solutions available, and this wireless wonder ranks among our best. Easy to install and even easier to operate, no RV operator should be without this technology. 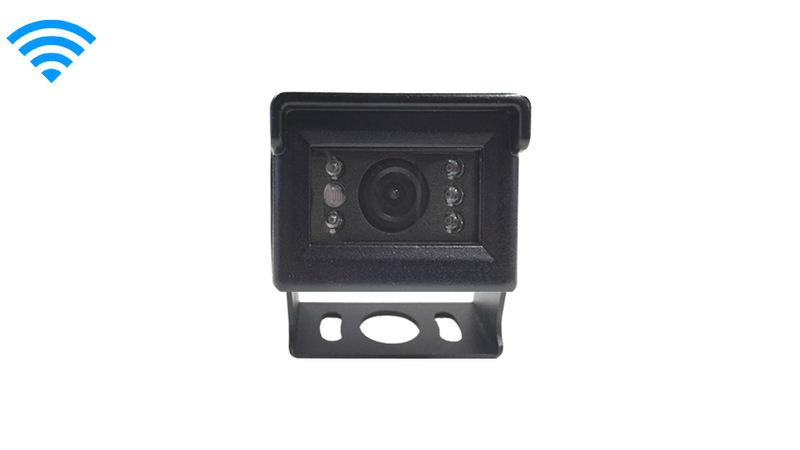 The Mini RV backup camera is compatible with any vehicle, from a small van to a large RV,camper or 5th wheel, it comes with an adjustable u-bracket that can mount on any surface and is also perfectly sized to fit any Furrion ® backup camera housing. It can also easily fit into any RV camera housing you currently have such as a Furrion ® backup camera, Voyager backup camera, or Jensen Backup Camera. But don't take our word for it. Check out this incredible high-resolution backup camera for yourself, and experience the incredible picture quality afforded by the advanced CCD lens. Take it with you through rain, sleet, snow and eve dust storms, and rest easy knowing that the firm weatherproof casing will keep your camera in optimal working order no matter where your travels should take you. Best of all, you can enjoy the peace of mind in knowing that blind spots are a thing of the past. TadiBrothers is committed to providing the best technologies at the best prices, and we look forward to serving you. Order this quality wireless backup camera for your RV today, and enjoy the RV lifestyle with a whole new vantage point. You may even want to purchase two units for virtually unlimited perspective. The choice is yours. Furrion and the Furrion logo and device are trademarks or registered trademarks licensed by Furrion Ltd. in the United States and/or other countries. Furthermore, all product and company names are trademarks™ or registered® trademarks of their respective holders. Use of them does not imply any affiliation with or endorsement by them.